B U B B L E G A R M: Stereo Rose Dupe! Were you able to get your hands on the limited edition 'Stereo Rose', one of the most talked about Mac mineralised skin finishes? If not, then keep reading! 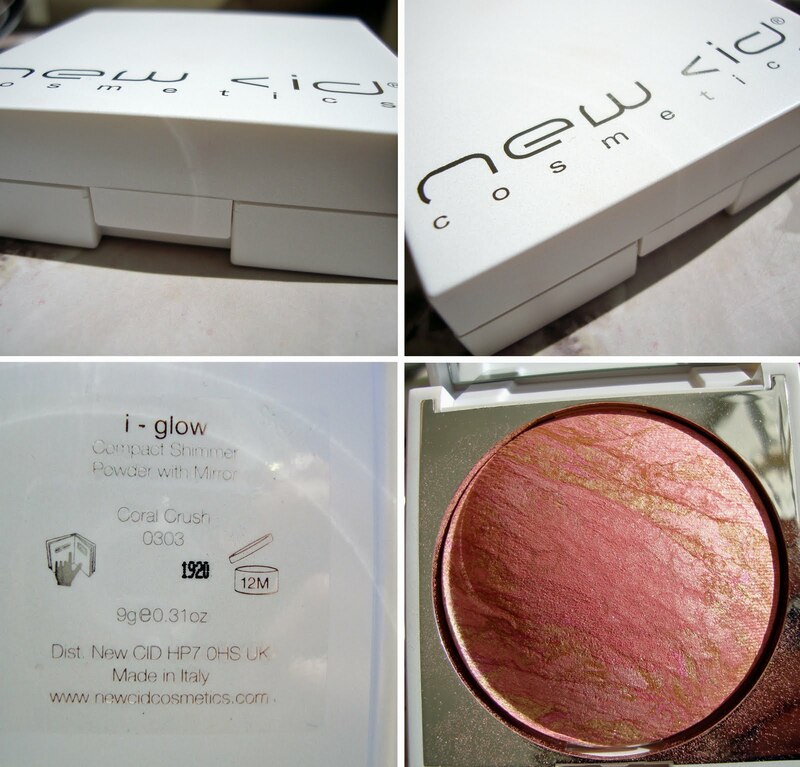 It's a marbleised glow powder that looks like an msf, it looks quite pinky coral with gold veining. Initially I didn't relate it to Stereo Rose until I swatched it. 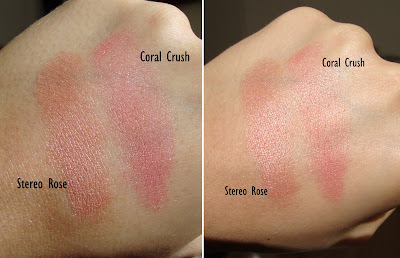 Here is Stereo Rose on the left and Coral Crush on the right, you can see how similar they are. They are both pigmented with no glitter, but Stereo Rose is a tiny bit smoother. BUT! Once you blend them out they look EXACTLY the same, I get the same effect on my cheeks as I do with Stereo Rose, it has the coral effect with the golden sheen. The only downside is that 'Coral Crush' is more expensive than a msf, it's a whopping £23.50, but it's still cheaper then paying ebay prices for 'Stereo Rose'. Do you have a more affordable dupe for Stereo Rose? Disclaimer: I was sent the coral crush for review, I was not paid and I am not affiliated with the brand. Honest opinion as ALWAYS. oh great thanks for sharing !!! may i add it to my "dupes" page on my blog ? No dupe but LOVE the look of that id one! such a beautiful color!! a very good dupe! It's gorgeous, missed stereo rose so i'll have to get this instead! I've seen New Cid in a beauty show and I thought their glow powders were really nice but a bit pricey. Oh darn, I'll need to check this out! great review :) I missed out on stereo rose :( i've got one of their bronzers.. its in the shade Rio - it's quite nice but far too expensive! we sell this where I work, but I've never really looked at new CiD coz they seemed like a rip off brand.. i'll have a look at this blusher next time im in though, if it really is that good! what do you use to edit your photos i like the way u edit them? Fortunately I got mine in the Warm & Cozy collection this year. By the way, I always use it as a blush, do you have any other ways of makeing the best of this product? Wow, those are both really pretty!